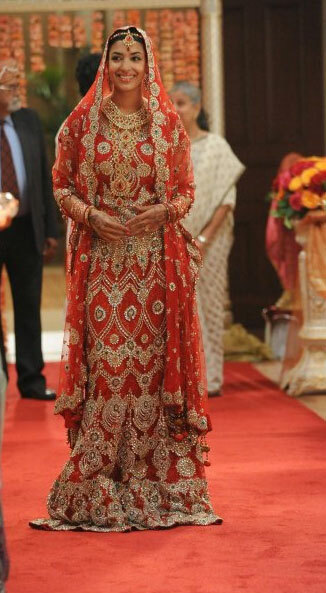 This evening, the season finale of New Girl will be on TV in the UK and anyone who's been watching the series so far or has seen the trailer for this episode will know it features an Indian wedding! I don't know how the episode goes, but I have seen the outfits and here's what I think! What do you think of her bridal dress? 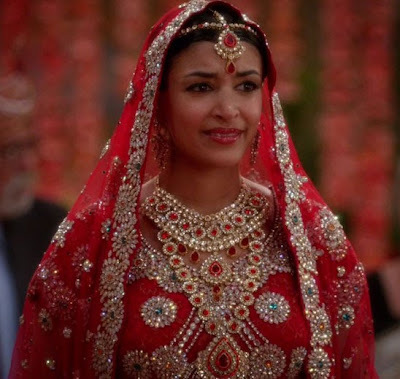 I think when TV shows portray asian weddings they always give the bride a very traditional look, rather than some of the more modern outfits which real brides actually choose. I'm just not sure this very traditional bridal look fits in with what I imagined the character would wear. From far away, I don't really like the circle embroidery design on the top - I think it causes the necklace to get a bit lost, even if it looks nice close up. I think it's the gold sparkly blouse that does it for me...I really need to get myself a sparkly blouse to go with my saris! I don't hate this sari, but I don't really like the colour, and as the bride's best friend I was expecting something a bit more glamorous. @nazma_afb @BIBILdn Me too, but Why do they always find the worst looking sarees?! What *is* that colour?! 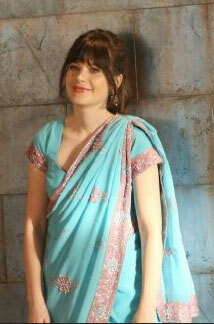 What do you think of New Girl's take on an Indian wedding and did you like the outfits? I wasn't keen on her bridal outfit either (or Jess' sari) - they're both stunning women and the outfits didn't really do them any favours, and looked a bit boring. Cece is unrecognisable without her amazing hair - I would have loved for her to worn a simpler, striking outfit like a one piece ballgown or something!